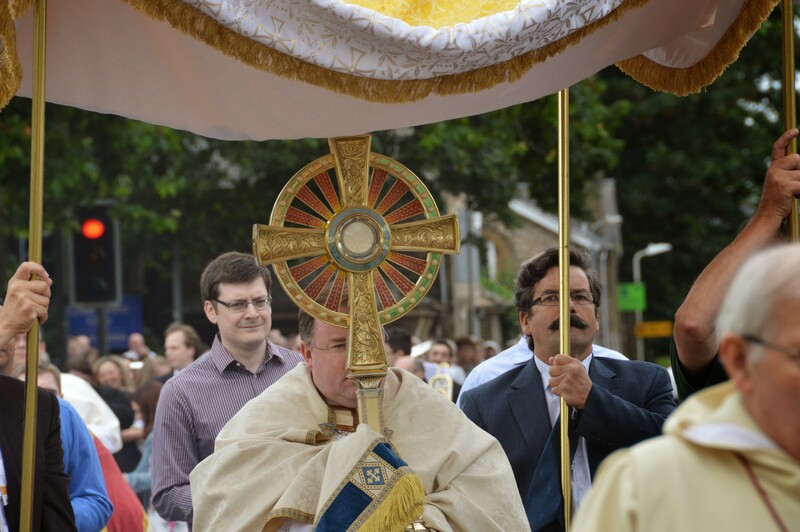 On Sunday 15th June the Priory and our parishes in Chelmsford together held the second annual Corpus Christi Procession. Last year’s procession was a great success, and thus we were delighted that several hundred of our parishioners could come to join us in this great act of witness, as well as clergy and people from the local ordinariate groups. Pope Francis has been reminding us recently, as did the Pope Emeritus, that we must be prepared not only for people to meet us in our churches, but to go out onto the streets, and thus Corpus Christi is a wonderful opportunity to bring people to our Eucharistic Lord. 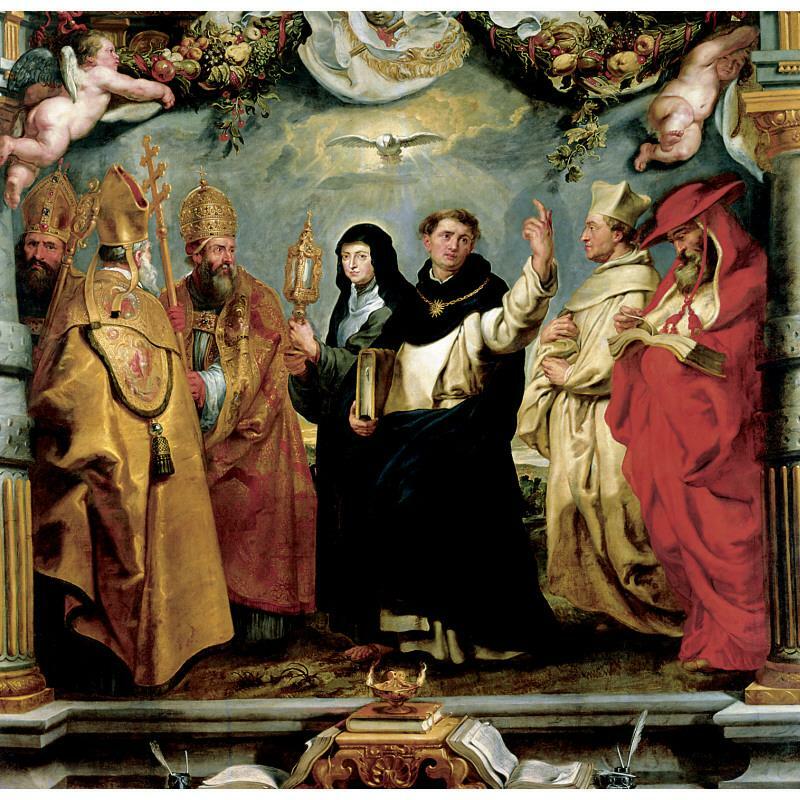 This act of witness and veneration continues to pique the interest and curiosity of our formerly Christian country, and Fr Prior was asked to speak on the local radio about it, and the procession appeared in the local newspaper. As Premonstratensians devotion to the Blessed Sacrament is essential to our charism, and it was particularly wonderful to re-introduce the tradition of the Corpus Christi procession to our parishes, and, indeed, to the people of the Chelmsford. Just before the procession began Rev Br Stephen Morrison o.praem. led us in a few reflections where he emphasised that we were taking Our Lord to the streets, to the people, and to the city that He loves so much. His love for us is not a diffuse idea but very personal, He loves each and every one of us in the concrete situations of our lives. The celebrations of the Corpus Christi continued with Mass in the Premonstratensian Rite on Thursday 19th June, and on Sunday 22nd June (as it has been transferred in England and Wales). We particularly remember around this great feast St Juliana of Liege, a 13th century Premonstratensian nun at whose insistence the feast was extended to the universal Church. For more photographs please go to our Flickrstream. This entry was posted in O.Praem Pictures, Parish/Apostolate. Bookmark the permalink.